The name ‘Limited power of Attorney’ itself states the meaning behind it. It is limited to certain act or a purpose. 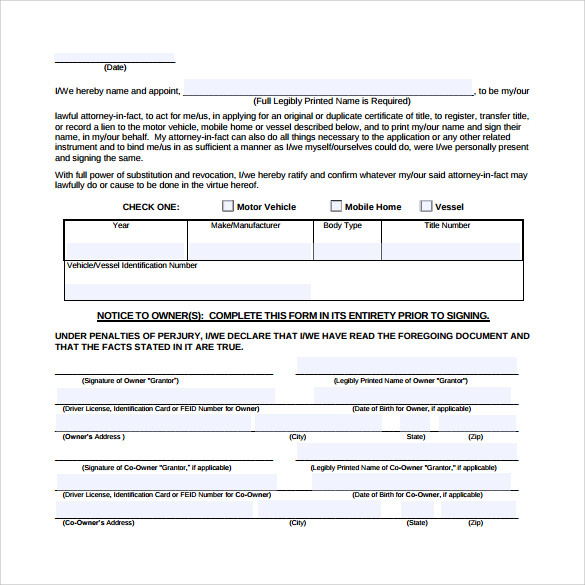 It is also called a special power of attorney and there are much durable power of attorney form available which are designed by the professionals. This Sample Attorney gives the principal a right to assign certain powers to the agent. It is used for the agents who have been handling certain matters in absence of the main principal or when the main person is not able to do it be it for medical reason or for any other purpose. 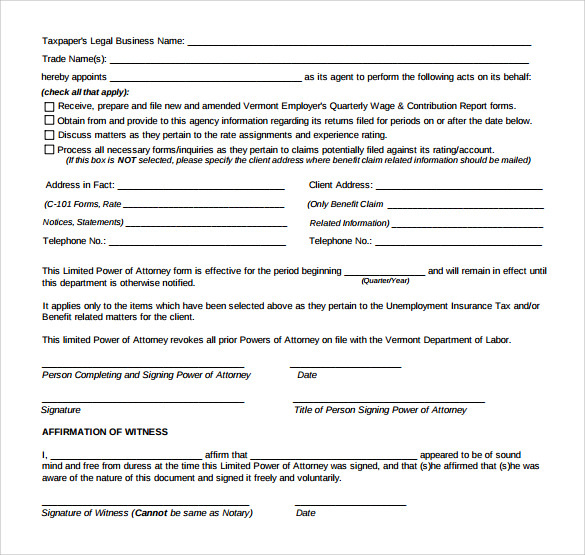 There are so many power of attorney templates available online. Such type of forms has necessary wordings and is prepared by the experts who have been into this field from a long time. This agreement requires signature of two parties with the respective lawyers. 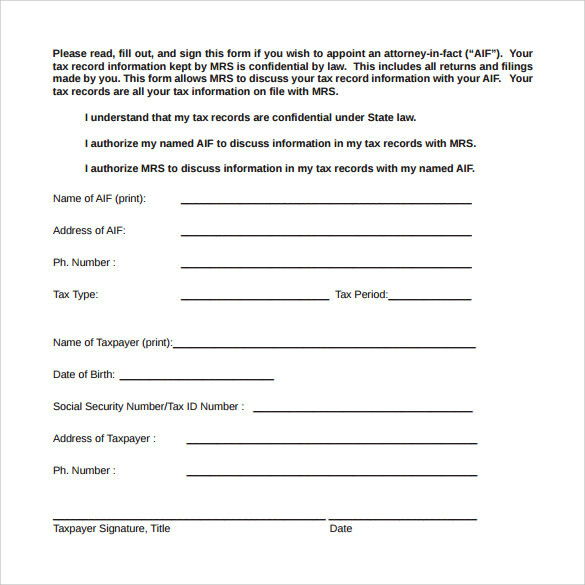 If you have never signed or prepared such type of limited power of attorney document then you can check online, download it and make the necessary changes. Such type of form is available in MS word and PDF format. For making the necessary changes, you need to use MS word document. 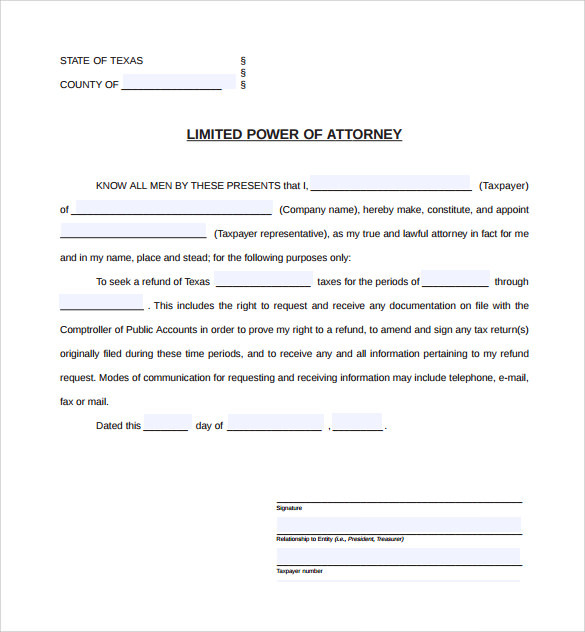 Attorney Form of Limited Power involves only the important information in which the principal agrees to signs the agreements and designate the authority to the agent. The principal can sign the agreement with a specific time span. Such types of form are easy to use and have all the ncesary wordings that have legal importance. In case you need to add or edit any kind of information in the same, you can do so with the advice of the lawyer who can be the best guide. 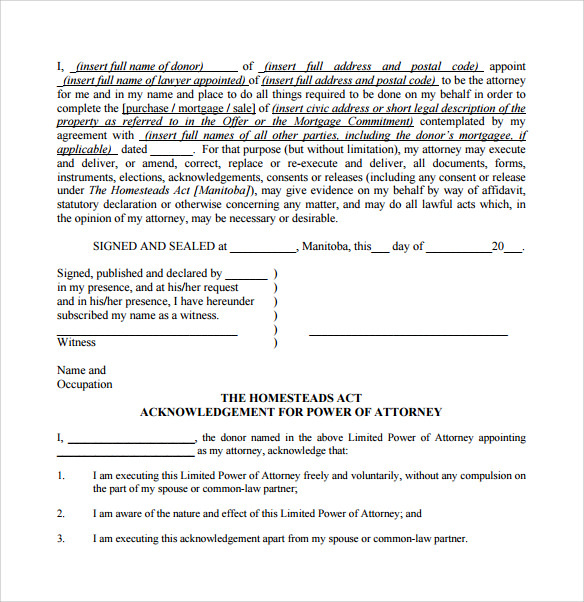 The specific power of attorney assigns the agent to act on side of the principal who s not able to act or take any kind of action immediately. 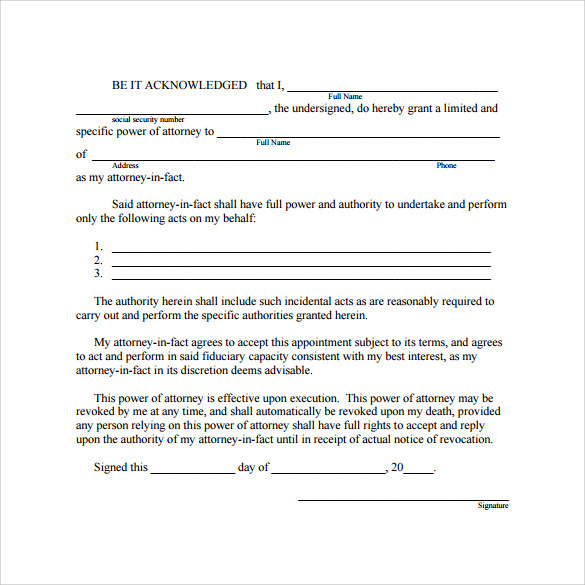 To grant the rights to the agent, the principal needs to signs a Sample Power of Attorney. It can be either a limited authority or the general authority which is assigned to the agent. There is nothing difficult to understand what is special power of attorney. It serves the most important purpose and that is to help the principal continue the work by delegating the task to the agent who can take quick actions. Whether you are seeking for a template of limited power of attorney real estate or the limited power of attorney for any other purpose, there are two parties involved in it. It includes the agent to whom the authority is delegated and to the other person who is principal who delegates the right to the agent. These two people are the main that needs to sign the authority form. 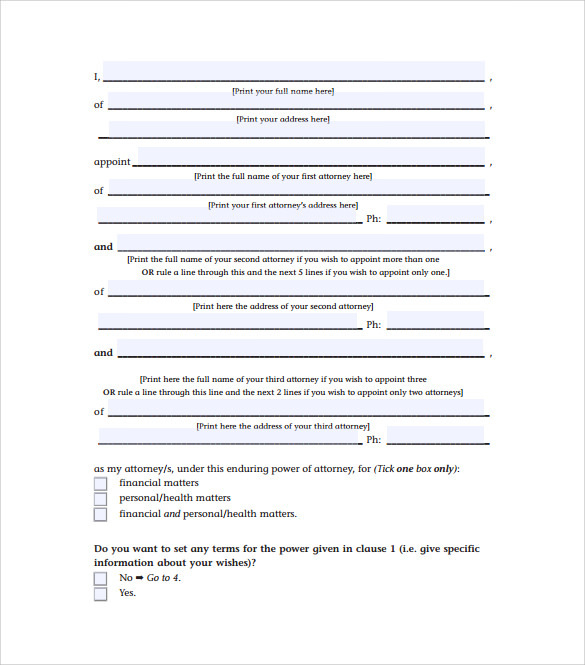 There are many Blank Power of Attorney templates available online which you can use for your own needs. Ensure that while choosing the templates you go through the wordings and if you need to make any changes you can do so by contacting the lawyer. Once you go through the limited power of attorney sample, you will understand that it is made with a good trust and the rights and authority is assigned to the trusted person. That is why such limited power of attorney form must be signed by the two parties in the lawyer office. 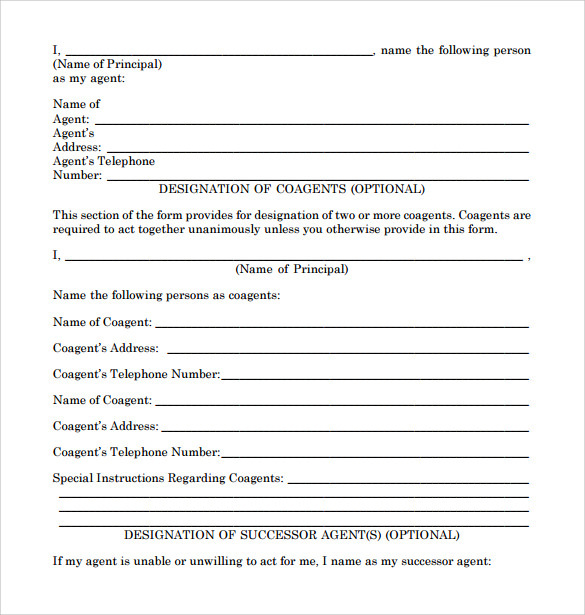 With such document, the agent gets a complete control on the property and money. In case there is any other asset stored by the principal, the agent has the right to use it if it is mentioned in the agreement. This document is legal and that is why there is no scope of any kind of fraud taking place. 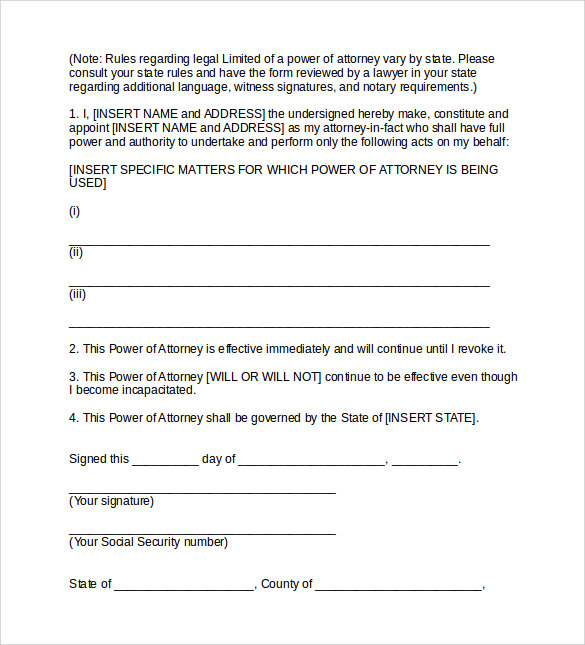 Specific power of attorney is one important document which you can download online and take a print of it or edit it and make the necessary changes before getting it signed. Being a legal document, both the parties must go through all the terms carefully and then sign the agreement.